We are delighted to launch this years Arts Festival which will take place between the 6th and 21st October. Our Open Art Exhibition will once again be at Hare Hill House, Littleborough, between the 6th and 14th October. We have a fantastic programme of events and activities for everyone to enjoy. Visit our What’s on and The Fringe pages to find something that will appeal to you, a concert, a market, a workshop, poetry readings, Coffee Evening in aid of Springhill Hospice, and our popular Lantern Parade. Go to our Whats On and The Fringe pages for all the details. 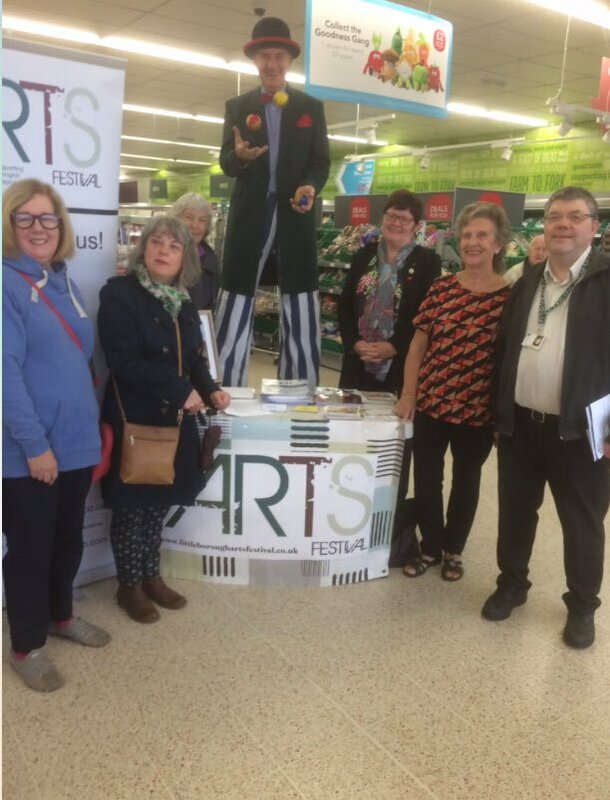 Arts Festival launch at the Littleborough Co-op.